On Wednesday morning, a dark yellow bag containing the ashes of Tucker Sauder rested on a table in a conference room in Anchorage City Hall. Sauder died of a suspected heroin overdose in early December. He was 23. His ashes were brought to City Hall as a plea for city officials to find more ways to treat addiction. His mother, Lisa Sauder, is the head of Bean's Cafe, the downtown Anchorage soup kitchen. In her job, Sauder is embedded in the world of addiction every day. But Sauder says she had no idea that her oldest son had relapsed into using heroin until her husband found him dead in the upstairs bedroom of their house two weeks ago. The medical examiner has not formally determined the cause of death, Sauder said, but Tucker was a recovering heroin addict and a syringe was found next to his body. "Even to somebody like me, I work in this field every day, I couldn't even tell my own kid living in my house was using heroin," Sauder said in an interview Wednesday. In the two weeks since his death, Sauder, so used to comforting people in pain, has been the one who needs comforting. In the past, she's talked to clients at Bean's Cafe about Tucker's addiction. But she said her son's death made her realize how difficult it is to fight back. 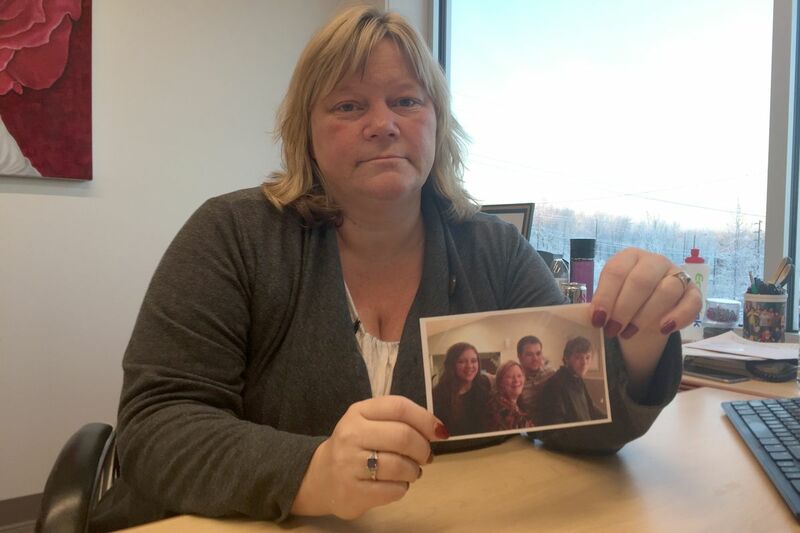 "Gosh, if we can't help our own son and brother … it doesn't bode well for people who don't have resources or connections," Sauder said in an interview Wednesday in her office, her desk scattered with Christmas cards. Tucker Sauder grew up in Pennsylvania, playing football and wrestling, Lisa Sauder said. The family moved to Alaska in 2010, when Sauder's husband, Steve, got a job as an advertising executive at the Anchorage Daily News. (He's since retired.) Tucker finished his senior year of high school at South Anchorage High School. Growing up, Tucker wanted to help others, Sauder said. He talked about studying psychology. But he struggled with anxiety and depression. The problems started in middle school. He visited psychiatrists, counselors. "It was just an ongoing issue," Sauder said. The way he dealt with it, Sauder said, was through drugs. He experimented with "softer" drugs as a teenager. She isn't sure when he started using heroin. A friend told her he was using it but he denied it, she said. 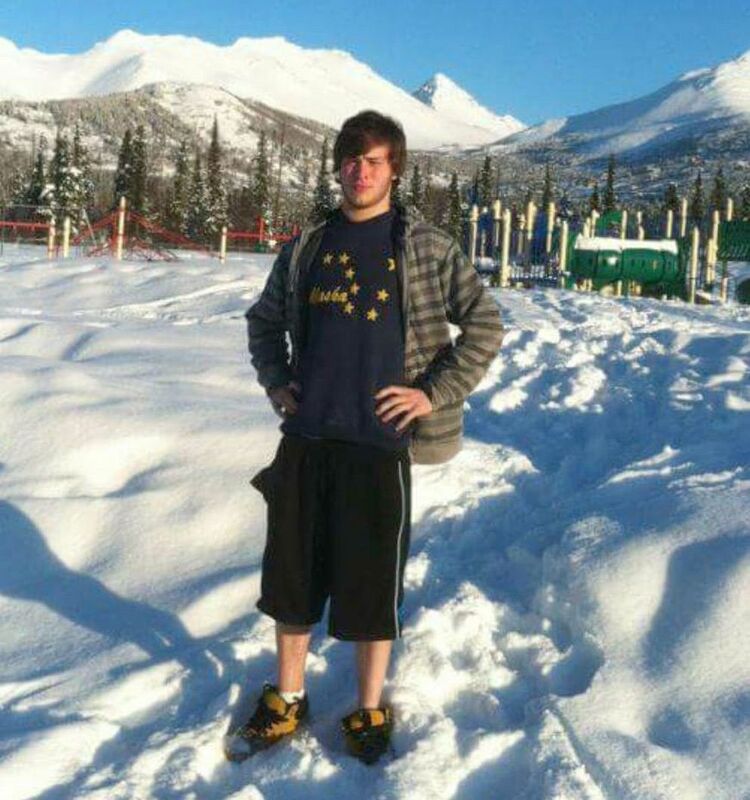 Tucker attended the University of Alaska Anchorage for a year. But he wasn't as happy in Anchorage as in Pennsylvania, Sauder said. He decided to finish school at Lane Community College in Eugene, Oregon. In Oregon, Tucker was hit by a car while walking across the street, Sauder said. He received an Oxycontin prescription for pain after the accident. But after that, Sauder said, he started to go downhill. He began to lose touch with his family. He was homeless on and off. He might go a month or more without calling. Sometimes Sauder would place panicked calls to homeless shelters and hospitals, trying to find him. Health problems also began to pile up. Tucker spent nearly a month on a ventilator after catching pneumonia, Sauder said. Because of problems related to his drug use, he had to have a heart valve replacement last July. At that point, his parents decided to bring him home. Sauder hadn't been sure Anchorage was the best place for him. She felt the treatment options were too limited. But he was medically fragile, and he had been off drugs for several months. "It seemed like he was doing well," Sauder said. Then her husband, Steve, woke up early the morning of Dec. 3 with a sense of dread. He went upstairs and found his oldest son's body on the floor of his room. A syringe was nearby. Tucker was smart, funny, loving and dependable, Sauder said. He was 5 feet, 10 inches tall with a mop of brownish-blond hair. In photos from a week before he died, he had a thin beard. He'd lost weight after the open-heart surgery. He looked much older than 23. On Facebook, remembrances poured in. 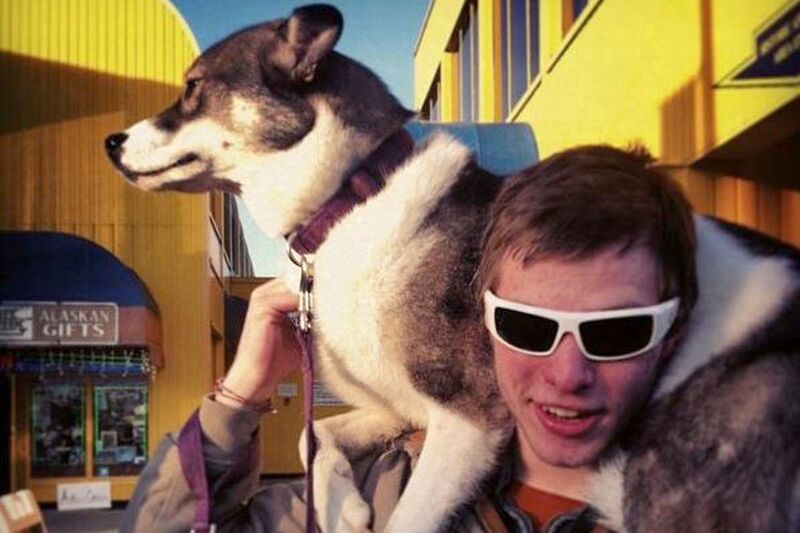 Friends wrote about his "thirst to question everything" and his "fearless, fun-loving soul." "One time I'll always remember is laying in a stranger's front yard in the middle of the night looking at the stars and talking about music," wrote one friend. Alison Kear is the director of Covenant House and a good friend of Lisa Sauder's. For six months, Kear tried to get Tucker help. She placed phone calls. She worked her connections in Anchorage's mental health universe. She said she couldn't piece together the right combination of treatment and counseling for her friend's son. Tucker also resisted conventional treatment. He didn't want to go to a methadone clinic or to Narcotics Anonymous meetings, Sauder said. He thought he could do it on his own. That's common behavior for someone who is addicted to drugs, particularly opioids, said Lynn Eldridge, a state mental health clinician and opioids specialist. "There's treatment out there, and individuals with (opioid addiction disorder) are sometimes their worst enemies," Eldridge said. Eldridge pointed to several options for heroin addiction treatment and counseling in Anchorage and around Alaska. Two clinics in Anchorage distribute methadone, a drug used to treat heroin addiction. A handful of other providers offer treatments of another drug, buprenorphine. Doses of naloxone, a drug that keeps heroin users alive after an overdose, will soon be distributed in large quantities for free in Alaska, thanks to a federal grant, Eldridge said. She called naloxone, often sold as Narcan, the "first line of defense," keeping heroin addicts alive until they decide to seek treatment. "If I had a magic bullet about how to get someone to go (to treatment), I'd give it to you in a heartbeat," she said. Sauder said Tucker had been through a treatment program once. But in the end, she said, she, Kear and others couldn't find something that worked in Anchorage. "It's not that there wasn't anything available. But it wasn't the right fit," Sauder said. As a best practice, the state of Alaska's Division of Behavioral Health emphasizes "medication-assisted treatment," a combination of medication, counseling and family support. Heroin can cause a permanent brain change, and medication can help the person cope, Eldridge said. Sauder said Tucker had been taking Prozac, an anti-anxiety medication. But on the advice of his doctor, she said, he stopped. Without the medication, it seemed to be harder for him to stay on track, she said. After Tucker's death, Kear went to the funeral home with Sauder to help make arrangements. Sauder's friends had banded together to send the family to Hawaii in the wake of Tucker's death. Knowing Sauder would be out of the state when Tucker's ashes were ready to be released, Kear volunteered to pick the ashes up. She asked Sauder where she should keep Tucker's ashes. Take him to Covenant House, Sauder said. Kear kept the ashes in her office for close to a week. She also brought the ashes to a meeting with her staff, to talk about what happened. Staff members know the Sauder family; Tucker's younger brother and sister both worked at Covenant House. On Tuesday night, Kear asked if Sauder would support her bringing Tucker's ashes to an Anchorage Assembly meeting on homelessness. "And I said, 'Yes, do it. Do it,' " Sauder said. "The story needs to be shared, and people need to understand that it can happen to anyone." The next day, Kear set the ashes in a bag next to her on the table. With city officials and a room full of service providers listening, Kear made a plea for help, the one Tucker struggled to make when he was alive.